till I turned it around. 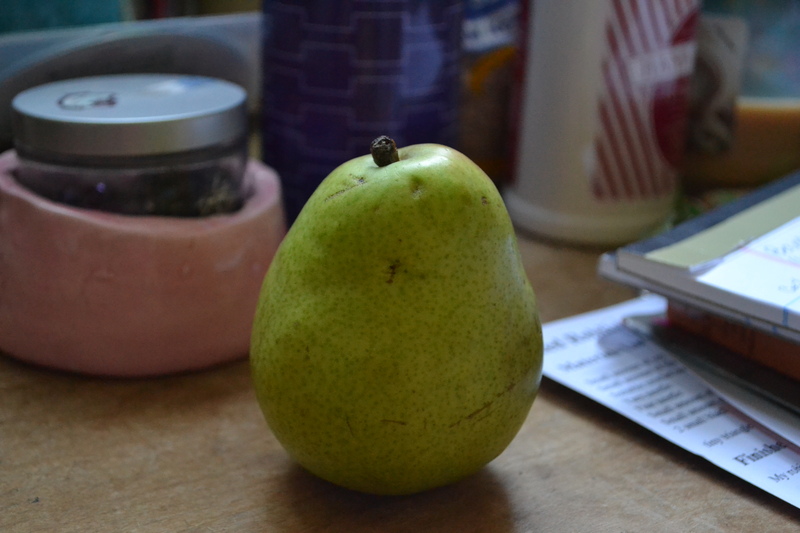 This keeps happening– first with peaches, then with apples, and now pears. I swear we have indoor squirrels. Haha! I always wondered why you guys always call her that. That’s awesome that she puts it back. HAHA! Oh gee… that girl!!! She’s always sneaking bites of your stuff! 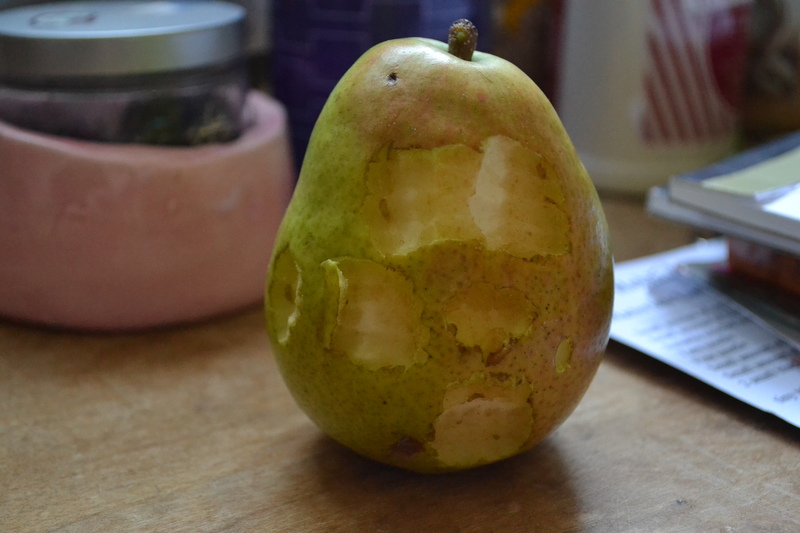 It’s funny… if it’s cut up, she’ll eat a whole pear, but if it’s whole, I guess she just nibbles! Hahaha!